Being the Friday before Independence Day, I thought it would be a good time to call up the Man of Steel who fights for truth, justice and the American way - Superman. 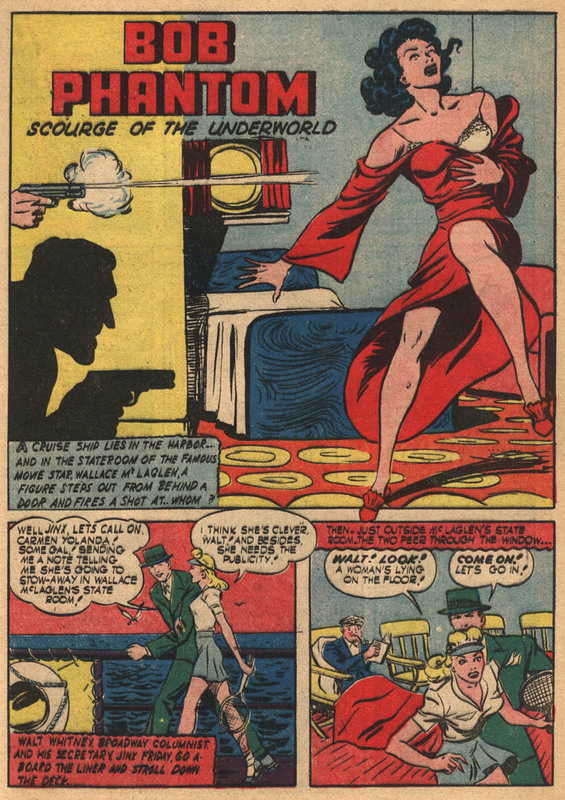 In one of the few cartoons in which Lois Lane makes no appearance whatsoever, a beautiful blond secret agent is on the run from foreign (i.e. German) saboteurs, and Superman shows up to lend a hand when they try to stop her. From the Internet Archive, here is the 1943 animated short, Secret Agent. This morning's Sunrise Serenade was "That's A Plenty" by the Andrews Sisters. Enjoy the video from YouTube. Today's Sunrise Serenade was "I Can't Give You Anything But Love" by the Mills Brothers. Click on the song title to listen courtesy of Jazz On Line. This morning's Sunrise Serenade was "Royal Garden Blues" by Johnny Mercer and the Skylarks. Click on the song title to listen courtesy of Jazz On Line. This short features the same two dogs that appeared in another cartoon with a similar story. In the previous short, the dogs - one large and one small - enter a "Home of Tomorrow," that features all sorts of fancy futuristic, automatic gadgets that soon cause the curious canines some trouble. In this version, our furry friends escape the dog catcher by slipping into the house of a magician - "Sham-Fu." Although the magician himself never shows up, his pet rabbit (a Bugs Bunny prototype) and an Indian Rope Trick give the puzzled pooches as bad a time as the futuristic house did. From the 8th Man Video channel on YouTube, here is the 1938 short, Prest-O Change-O. This morning's Sunrise Serenade was "Pompton Turnpike" by Louis Jordan and His Tympany Five. Click on the song title to listen courtesy of Jazz On Line. Today's Sunrise Serenade was "Small Fry" by Bing Crosby accompanied by Tommy Dorsey and His Orchestra. Click on the song title to listen courtesy of Jazz On Line. The playlist for the June 20, 2018 broadcast of the Swing Shift Shuffle has now been added to the playlist filing cabinet. This morning's Sunrise Serenade was "I Said No" by Alvino Rey and His Orchestra, with Yvonne King on vocals. Click on the song title to listen courtesy of Jazz On Line. If you are interested in a career change, Hemmings may have a deal for you. 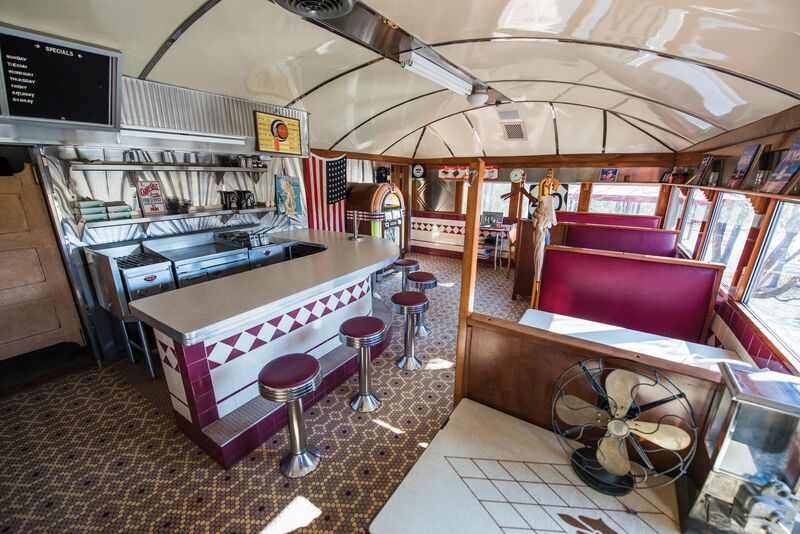 An upcoming Sotheby's auction on June 23-24 will offer this 1946 Silk City Diner at no reserve, complete with all the appliances, fixtures and furniture necessary for you to hang out your own "Eat at Joe's" sign. 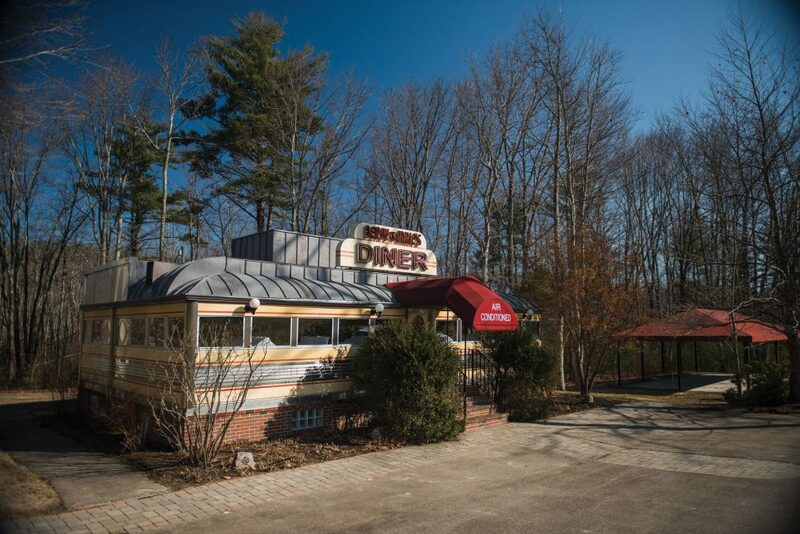 You will have to move it yourself, and Sotheby's estimates the sale price will be between $200,000 and $300,000. Today's Sunrise Serenade was "It Ain't Gonna Be Like That" by Hoagy Carmichael. Enjoy the video from YouTube. This morning's Sunrise Serenade was "The Joint Is Jumpin'" by Fats Waller. Click on the song title to listen courtesy of Jazz On Line. This morning's Sunrise Serenade was "Old Yazoo" by Cab Calloway and His Orchestra. Click on the song title to listen courtesy of Jazz On Line. First saw this story in my print copy of Hemmings Motor News, then found this website. So, you're a gas station owner at your own birthday party in 1947. What do you do for fun? Well, why not make a bet that you could use a B-17 Flying Fortress as a canopy for your gas station, borrow $15,000 in cash from a friend at the party (who had it on him), go to Oklahoma and buy a B-17 that you don't know how to fly? Then, you could try to fly it ALONE, crash it into another B-17, convince the base commander to write it off and sell you another one much cheaper. Finally, bribe the local fire department with whisky to let you borrow their pumper trucks to siphon aviation fuel out of the other B-17s, fly it back to Oregon (with a copilot this time), and win the bet by putting it atop your gas station. That's what Art Lacey did. Seems like a perfectly normal birthday party to me. Find out how to help restore the Lacey Lady here. Today's Sunrise Serenade was "Whistle While You Work" by Artie Shaw and His Orchestra. Click on the song title to listen courtesy of Jazz On Line. The playlist for the June 13, 2018 broadcast of the Swing Shift Shuffle has now been added to the playlist filing cabinet. This morning's Sunrise Serenade was "I'm Gonna Be A Bad Girl" by Orrin Tucker and His Orchestra with "Wee" Bonnie Baker on vocal. Enjoy the video from YouTube. Today's Sunrise Serenade was "Waiting For The Train To Come In" by Peggy Lee. Enjoy the video from YouTube. The hero of this 1941 comic, posted on Four Color Shadows, is "Bob Phantom." He is not "The Green Phantom" or "Phantom Flyer" or even "Robert Phantom," - just Bob Phantom. To make matters worse, his hero name bears no relationship to his secret identity, which is Walt Whitney, Broadway columnist. What would be next, "Fred Batman"? And another thing - I know it was the 1940's, and male condescension to females was taught in kindergarten, but this guy seems like too much even for the times. I'm surprised his secretary didn't slug him. This morning's Sunrise Serenade was "Sliphorn Jive" by Glenn Miller and His Orchestra. Enjoy the video from YouTube. The playlist for the June 6, 2018 broadcast of the Swing Shift Shuffle has now been added to the playlist filing cabinet. If you missed the First Saturday RHLH dance, don't despair! The RHLH will be at two more events this month. They will be at Lafayette's Music Room on Monday, June 11, with the Memphis Knights providing the music from 6:00 to 8:00 p.m. On Thursday, June 14, they will be at the Crosstown Getdown: Swing Edition from 5:00 to 7:00 p.m. at Crosstown Concourse. More info here. Today's Sunrise Serenade was "Rhythm Saved The World" by the Mills Brothers. Click on the song title to listen courtesy of Jazz On Line. 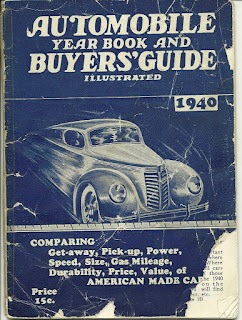 Besides the pages shown, other charts compare all the 1940-spec cars’ batteries, bearings, body finish, brakes and weights, capacities, carburetors, clutches, head room, leg room, hoods, radiators, springs, ventilation, wheel bases, and a whole lot more. And even exhaust valve seat inserts and steering post locks are compared. This morning's Sunrise Serenade was "A Chicken Ain't Nothin' But A Bird" by Cab Calloway and His Orchestra. Click on the song title to listen courtesy of Jazz On Line.